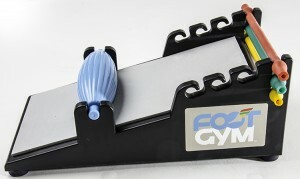 The Foot Gym Pro is a multi-use foot strengthening and rehabilitation device incorporating 8 exercises in 1 device. The Foot Gym Pro strengthens muscles which could lead to improved balance, structural stability and greater overall foot function. It treats Plantar Fasciitis, Achilles Tendinitis and foot pain. 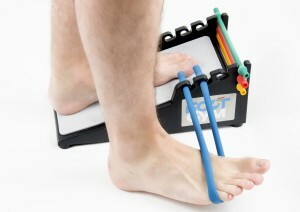 The Foot Gym Pro is also used in rehab for injury or post-surgery recovery.